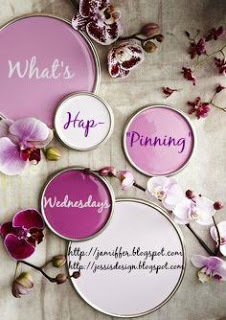 Hey ya'll and welcome to another What's Hap-'Pinning' link up with Jenn and little ole' me! 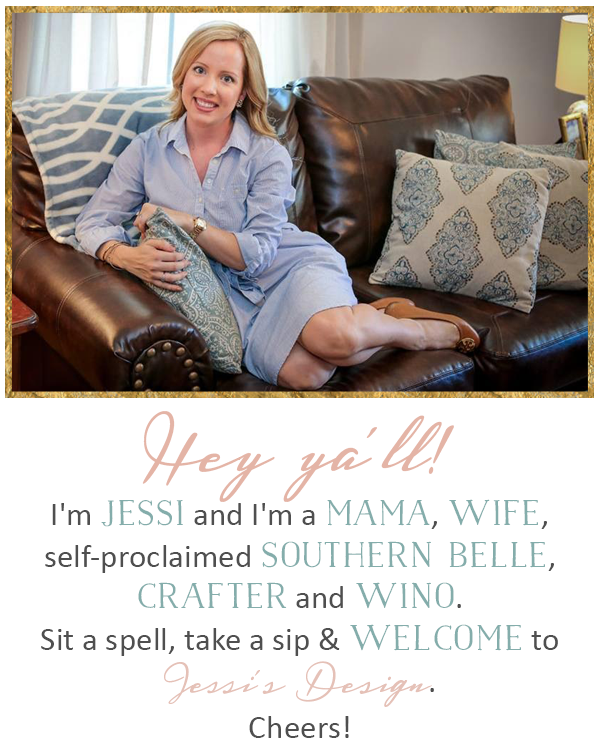 I haven't blogged lately and I feel out of the loop. 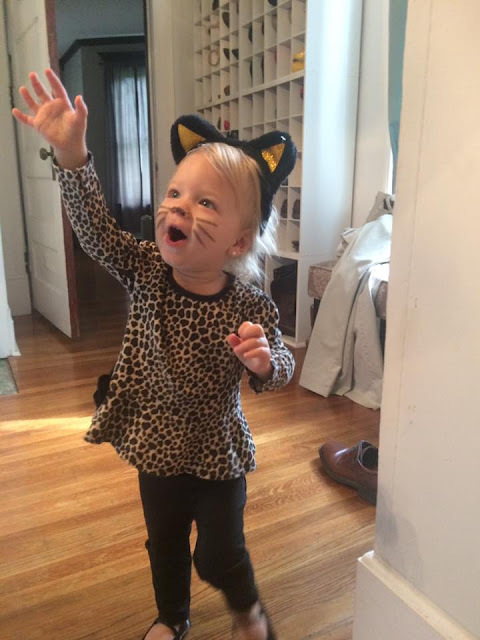 I hope everyone had a fabulous Halloween! 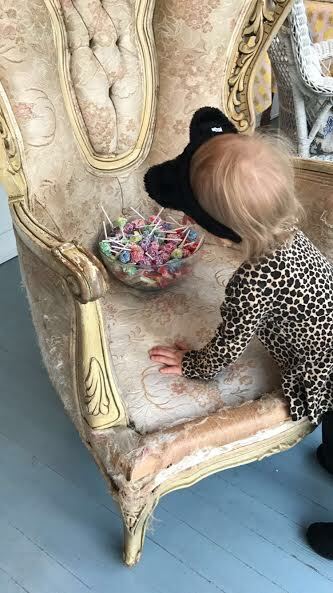 I know I did because this was the first year I got to experience the "Mom Stash" of going through your little one's candy and basically indulging without them even having a clue. Miss A was such a little pro by the end of the night once she realized that when she opened her pumpkin bag, people put treats in it. 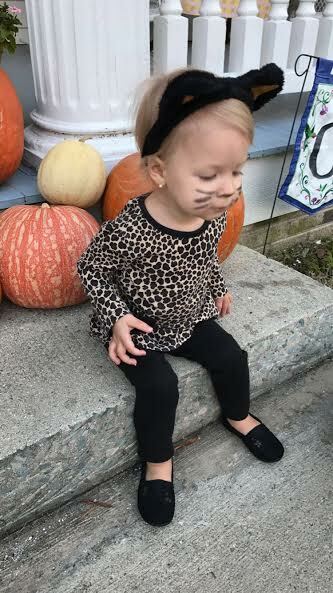 She was the cutest little kitty (thank you Target dollar spot) and her Nana and Pop joined me in taking her to her first trunk or treat at a local church. Putting all of our Halloween decor away in its designated tub (minus a few pumpkins for this month) makes me so excited because its so close to being fair game for Christmas. I am one of those people that starts about a week before Thanksgiving (I know, I know) but its only because I do FOUR trees ya'll! I want to enjoy them! On the home project front, we've found some neat goodies this last week. I came across the most royal, intricate and gorgeous wingback chair I have ever seen in real life. It was a curbside, free find and I am baffled that someone threw it away! We are deciding on fabric options and I can't wait to bring this baby back to life! 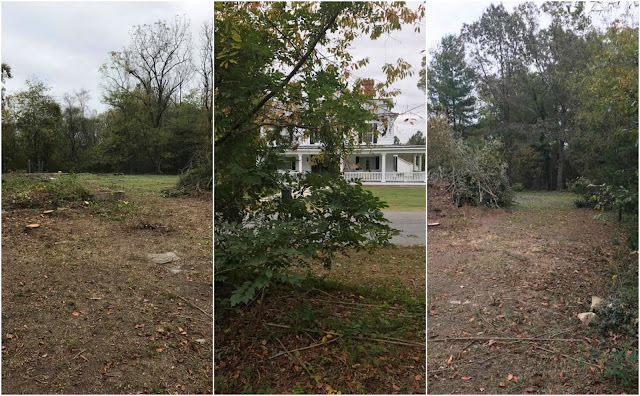 Also, we have a lot across the street from our home that we acquired and hubby has been clearing it out. Once of the oldest homes in our town once stood over there but its not just odds and ends and the foundation. Yesterday hubby uncovered an antique fireplace and are ya'll ready for this? Blue, yellowish-white original tile all over it and around it! Its almost like a blue animal print and it is stunning! We are collecting and cleaning as much as possible and plan on transferring it to our home. SCORE! I'll keep ya'll posted. Grab our button and link up below to join in. Love that little kitty! So cute! So cool that you're finding all kinds of treasures across the street! Cutest lil muffin on the block, totally think she could rock this for Miss America ;)! 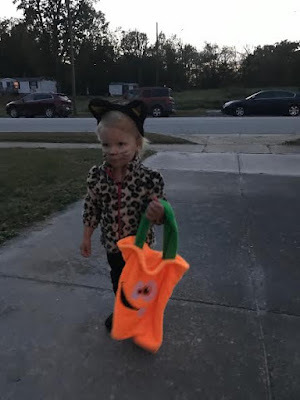 I love a good kitty cat and it's even better when it's a little cutie like yours! She looks adorable! 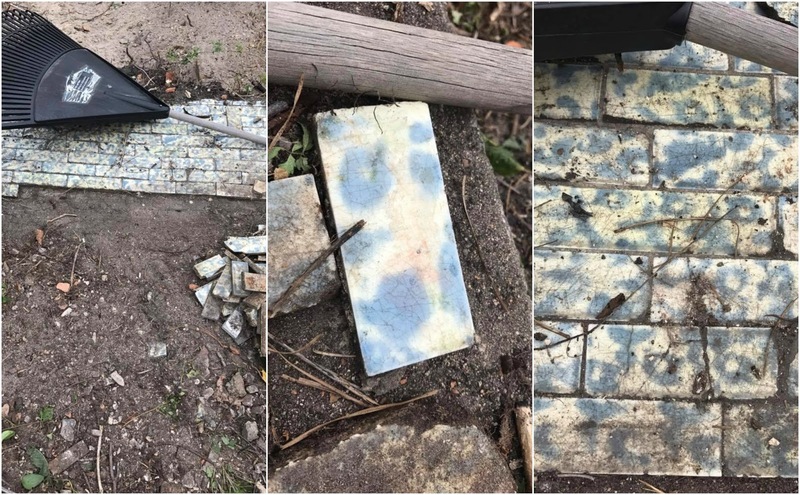 And how awesome about finding that tile!! Not sure what happened to my previous comment, but I just LOVE that chair! It is beautiful! My niece was a kitty cat too!! Your little girl is the cutest kitten!! I think is it amazing that you found that fireplace gem across the street. That tile is beautiful!! Cheers! One of the cutest kittens I have seen! How stinkin' adorable! Also, love that chair! She is so adorable. Totally one of the cutest little kittens around. Love that chair you found. I cannot wait to see how you refurbish it, I know it will be amazing! 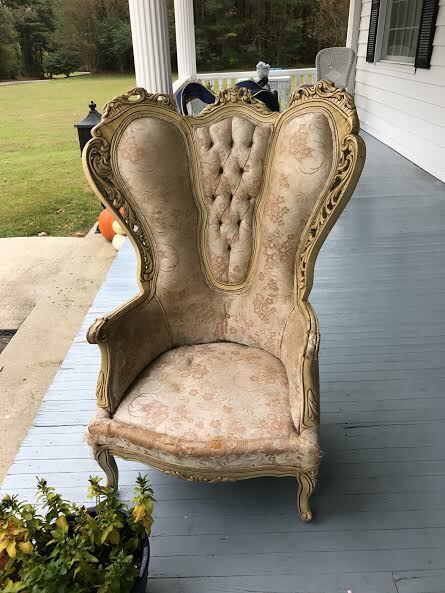 That chair really was an amazing find! 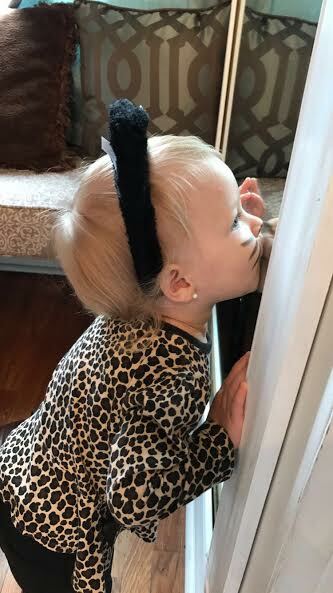 Little bit was adorable on Halloween. Love following along on snap and seeing her little personality! What a PRECIOUS kitty! Love her! Oh my goodness, STOP IT! Andi is so cute!! Definitely the cutest little kitten I ever did see! 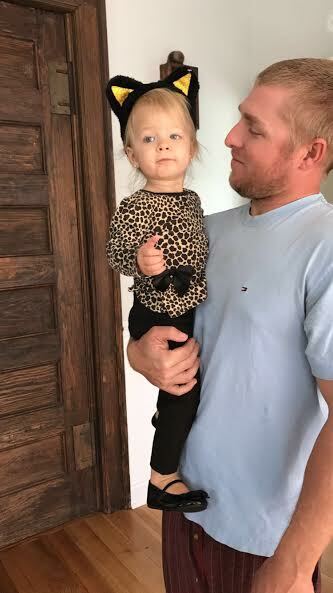 I can't handle how cute that wee one is! What a fun Halloween! Andi was so adorable!! I panicked the other day thinking I had to put all my Christmas decorations up next week but then I realized I've got another week lol 4 trees are going to be amazing and you really do need to enjoy it! wow that fireplace and tile is amazing! that chair though, so gorgeous. and of course Andi is the cutest. and um, Mom Stash? sounds like my kind of halloween. haha! That is the best double score EVER with that chair and the fireplace!! Also, can we discuss the cutest little kitty ever?! 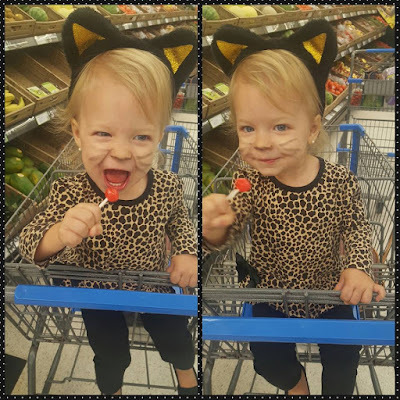 Cutest kitty ever, love how happy she looked!! Awesome score on the chair and tiles, so unique! !